I was 12 years old. My very young mom, her cousins and her friends were having a girl’s night at our apartment. Everyone was drinking and eating take out BBQ that had been served on bright colorful paper plates with french fries and cole slaw. The cole slaw sat in little round cups that looked like accordions because the BBQ had been slathered with sweet and hot deep red BBQ sauce. Mounds of french fries sat in the overrun sauce from the meat, soaking up the goodness. The meat was so tender they were eating the ribs with their fingers, dipping the fries back into the BBQ sauce to pick up more of the goodness. Mama and her clique were combing, washing, conditioning and hot combing each other’s hair. They had a couple of huge wigs that were also getting their comeuppance in the kitchen. One of the wigs looked like a huge messy bee hive. My mom and the other women took turns putting it on and admiring themselves in the small mirror in the kitchen. On the floor there were two six packs of beer that had been put in the mop bucket and covered in ice. Every now and again one of the women would reach in and pull out a cold one. All of the men had been sent off somewhere. They were nowhere to be seen. Good thing too because they were the subject of the ongoing conversation. It was hot in the kitchen. That was where the big sink was located. The back door was open to let a bit of air in. I was supposed to be asleep. Instead I had snuck out of bed and was sitting just out of sight listening to the grown folks laugh, talk, and play records. The smell of the hot combs mixed with the BBQ, fries and slaw was delicious, hearing the hot combs being drawn throng hair sticks with me to this day. They called my mom, Nat. I would have been ok if Mom had played the record once. I was so stunned by the feeling the music put in my body and heart I had hardly moved through the entire record. But, no. 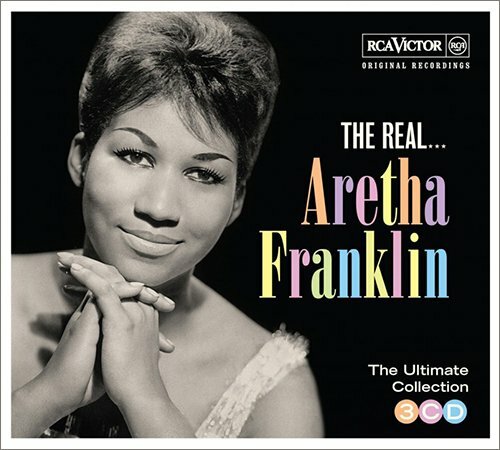 My mom played Aretha again. And when the chorus came, I joined in the singing from my hiding place. I couldn’t stop myself. The feeling overtook me and I had to sing. They let the record finish before sending me back to bed after giving me a small piece of BBQ. At 12, I didn’t know what the words meant, but I sure knew the feeling. In her voice was the feeling of love, and power, and despair and hope all wrapped together. That night Aretha played in my head over and over again.